In episode 13 I talk about physical and mental training cycles, including bridling Jac for the first time. In that episode I show steps such as running the rope over Jac’s ears and using my fingers in his mouth to prepare him for bridling. Ideally this type of handling has been happening consistently during routine handling which makes the transition easy for the horse. I find that most colts don’t have issues with their ears unless they have been taught to by people. I do find that people often expect ears to be a problem and then they become a problem. One example of this would be when I visited Jesse (my husband) at a ranch where he was working in Oklahoma back when we were dating. None of the horses, about 20 of them, had ever had their ears clipped. They were handled just enough to get the tack on for riding and a few were only halter broke. The horses had received no special time spent on groundwork but along with a lack of handling came a lack of issues caused by poor handling. While I was visiting I decided to clip the horses. I clipped every single one of them in the same day by myself. I rubbed them all over, introduced clippers and shut them off when the horse stood still (before they even moved) and repeated. I might have shut the clippers off 20 or more times on each horse to ‘remove pressure’ and reward. 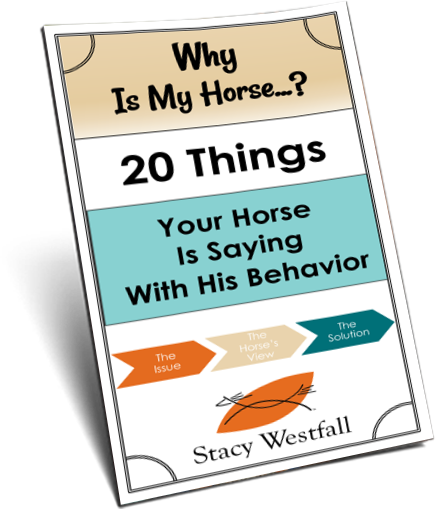 Using this technique, shown on the Jac DVD, I was able to clip all of the horses, including their ears. I didn’t expect a problem and no one had created one before me…so there was no problem. 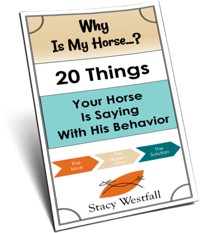 There is a difference between preventing problems and retraining horses that already have issues but mostly the difference it the amount of time. The technique is the same but often horses who have issues with their ears have learned evasive ways of avoiding what they consider to be an unpleasant experience. That is when it is important to remember that it takes more than technique. In the Jac episode below, Episode 11, you can see the technique I use of rubbing Jac’s body with the stick and string. I continue this same method up the horse’s neck, poll and around the ears. The biggest thing to remember though is that technique alone is NOT the key. 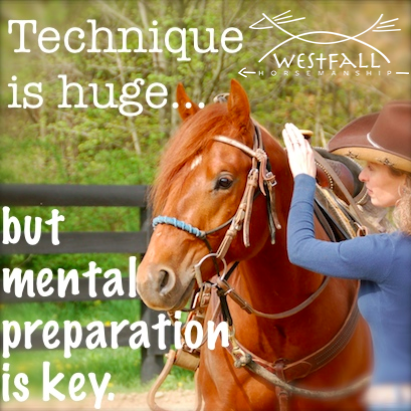 Technique is huge…but mental preparation is key. Go back and look at Jac in earlier episodes and you will begin to understand that all of that training is also critical to getting Jac to accept his body and his ears being touched. I knew the technique for rubbing on day 1-5…but Jac wasn’t mentally ready. Look at how Jac is behaving in Episode 2 where he is pawing and ignoring me, or Episode 3 where he is dragging me. Each day Jac is trying new things but he is also improving with the training. Mentally, Jac is having little break throughs and each one of these is leading him closer to trusting me and looking at me as a leader. All of this also plays a part in Jac accepting me handling his ears.